This is the first post in my High-end vs Highstreet series and I wanted to feature my new find from a very unexpected place. 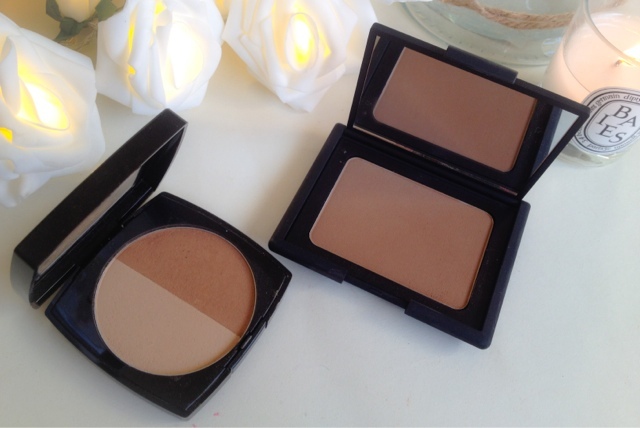 You all know I love my Nars Laguna, its my go-to product of choice for bronzers, but at £26.00 a pop it can be a little hard to swallow at times! So, this series is all about high-street alternatives and the one I have for you today comes from a very unlikely place..... Asda, yes Asda! Now, I'm gonna be honest with you, I'm a bit of a make up snob when its comes to supermarket brands. I don't mind buying products from Boots and other stores but I find the whole idea of shopping for pasta and toilet roll as well as make up a little off-putting, it's not exactly the desired experience I have in mind when shopping for make up! Anyway... I was sent some products from Asda to try and this Bronzer Duo was included. On first inspection I wasn't that bothered about it, it looked 'OK' but I thought it was going to be too light for me and I probably wouldn't use it. As far as packaging goes it's a no brainier, this is where they are poles apart. The plastic George compact is no match to the iconic Nars black rubberised case, but its what's inside that counts.......no? The colour match is very similar, not identical but not too far off considering the price difference. The George is slightly warmer and has a tiny bit more shimmer when swatched, but on the face, used as a contour I couldn't really tell there was much difference, it did the job and it did it well and comes with the added bonus of a highlighter being included. Longevity wise, there is some difference. The Nars with its higher pigmentation does last longer on the skin, but so it should do as it is over 6 times more expensive, I think we can cut Asda's version some slack there, don't you?! If you're new to contouring and don't want to take the plunge on high-end make up I can definitely recommend George Bronzer Duo, it does more or less the same job as Nars but at a fraction of the price. I'm really impressed with it and it has definitely opened up my eyes to alternatives on the high-street... or supermarket shall we say! Even-though I love my Nars and it is more pigmented I don't think you can ignore the price difference in this case. The high-street offers a fantastic array of products that are themselves dupes of their higher-end counterparts and can be just as good and very much worth a try. I know many of my friends who are into make up (maybe, not as much as me) who would refuse to spend nearly £30 on a bronzer, and to be honest I don't blame them! If make up and beauty is your passion why shouldn't we treat ourselves to the best products out there, but if you see make up as just something that is popped on your face to make you look a little better, do you really need to be spending a small fortune on them? Nars Laguna is always going to have a place in my heart but the difference in price is just ridiculous and makes me think....Is it time to stop being a make up snob and save some money where it can be saved? Or is spending money on a high-end products more worthwhile in the end? What are your thoughts? What high-street alternatives do you recommend? 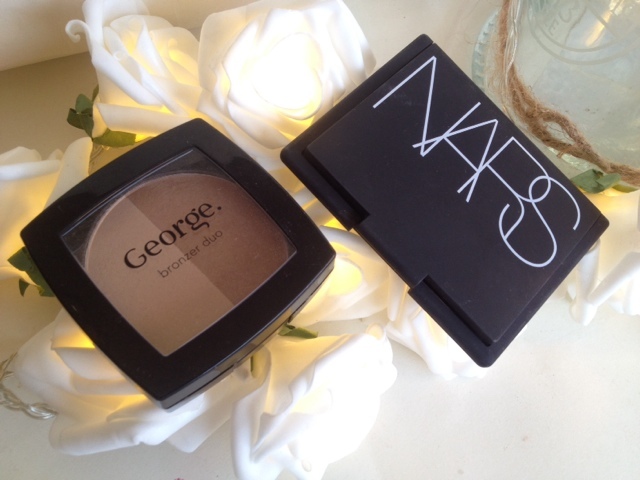 The George duo bronzer looks fab, so maybe I should start looking at the makeup gems that I am missing out in the supermarkets! 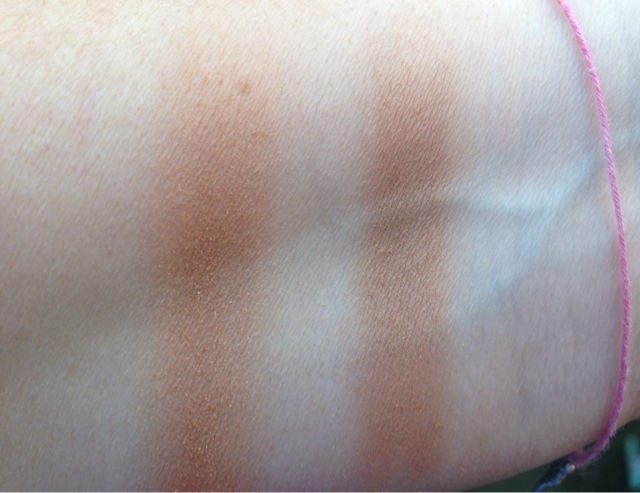 So the other day I came to the conclusion that I need NARS Laguna in my life...and now I'm all doubtful arghhhh, damn. I walk past George make-up regularly, now I might just stop and try a few products. Great post!